A new Outpatient Pavilion, just steps away from the hospital, will provide streamlined access to signature specialty outpatient services in an environment designed for optimal patient comfort, convenience and safety. With One Vision, we will transform the way we deliver healthcare. The addition of the Outpatient Pavilion on our campus enhances our capacity to provide ambulatory surgery and establishes a “home base” for delivery of care for support services such as rehabilitation medicine, physical therapy, occupational therapy, and speech therapy. 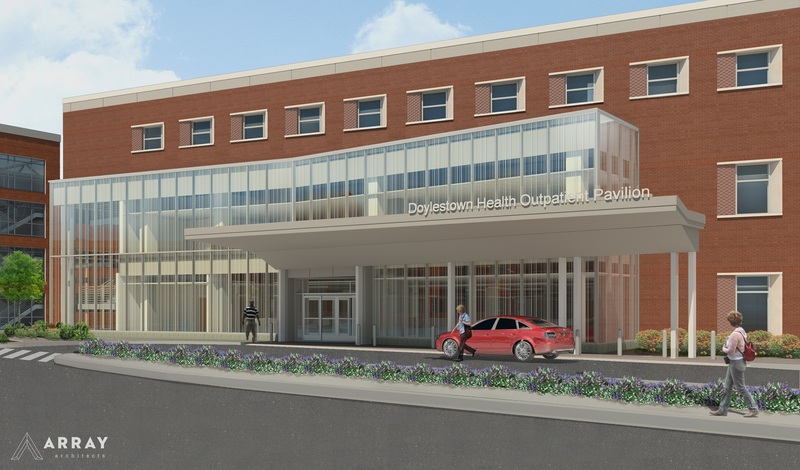 With One Vision, philanthropic investments will allow Doylestown Health to provide enhanced access to outpatient services. Your gift to our Second Century fund will ensure the future of healthcare excellence for patients in our community.